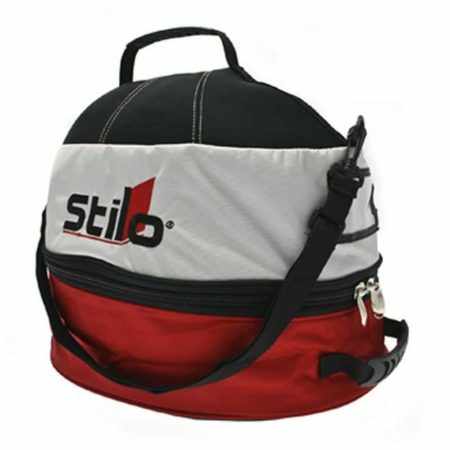 Look the part with this Stilo branded heavy duty nylon and neoprene helmet bag. The bag offers high levels of protection for your precious helmet and Hans/FHR/Hybrid devices. There’s plenty of storage room in teh bag with pockets for spare visors and additional items. The bag is breathable with ventilation in the base to help your kit dry on the journey out of the circuit.